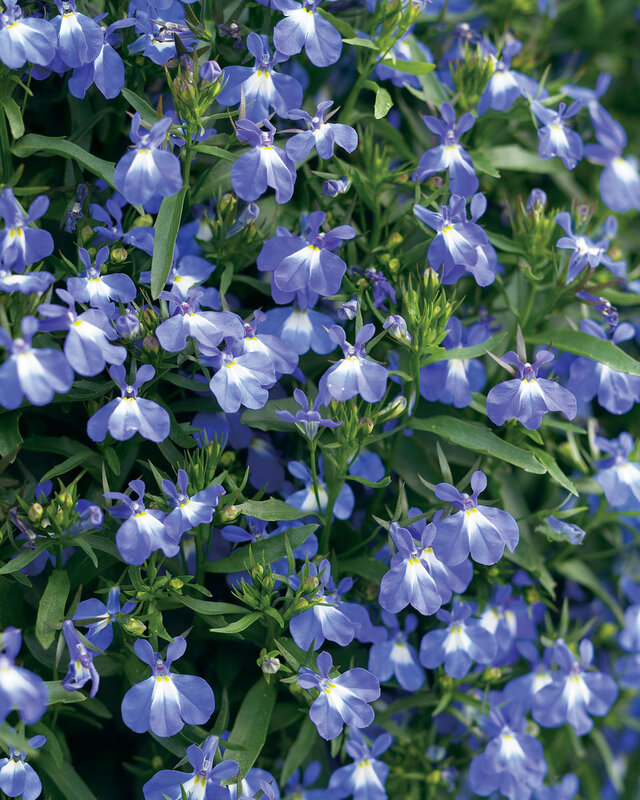 This beautiful blue Lobelia fits perfectly into the Proven Winners collection, with its large blue flowers accented with a bright white eye. 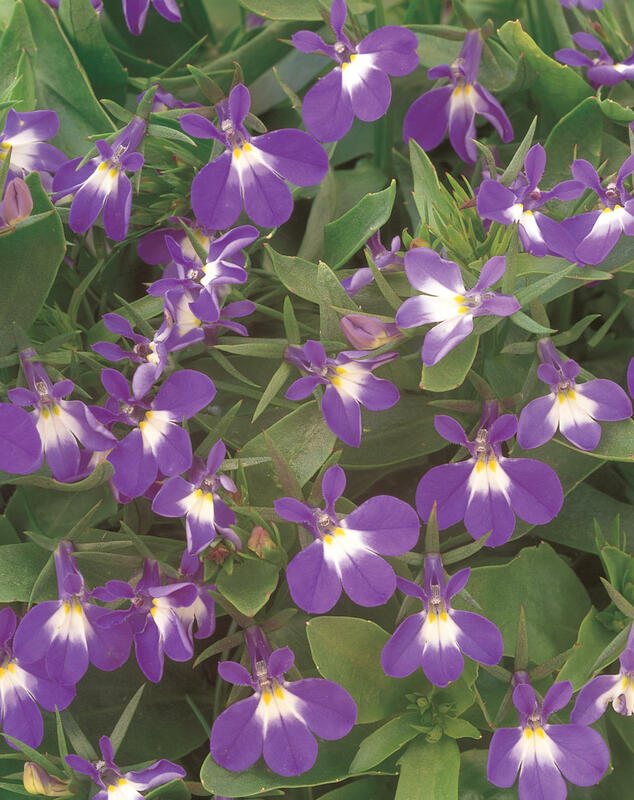 Bred in the Netherlands, Laguna is an outstanding plant for all summer flowering performance. 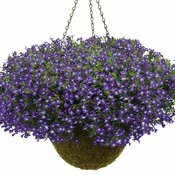 This Lobelia works well as a great mixed container plant although it has the color and habit that allow it to stand alone as a specimen. 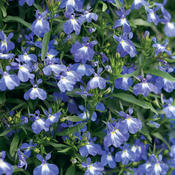 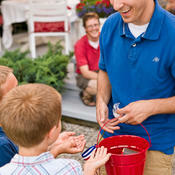 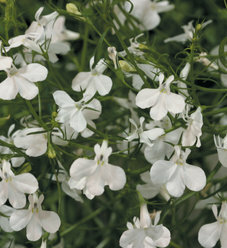 Lobelias are known for their tolerance of both heat and cold and Lobelia Laguna offers unstoppable garden performance. 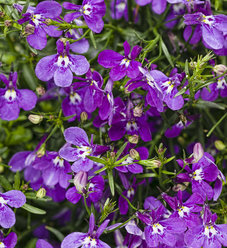 Beautiful plant...especially in the evening around dusk. 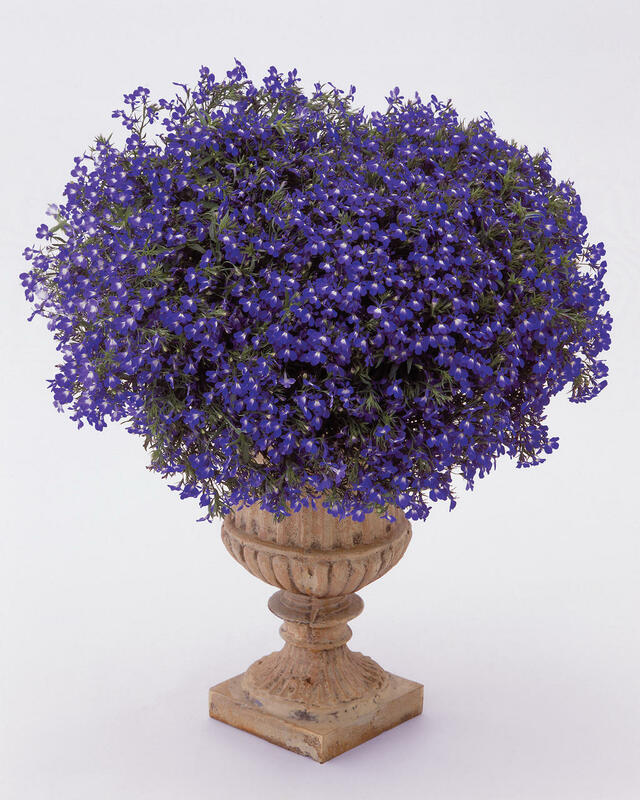 Looks as if it's glowing (Blue with Eye). 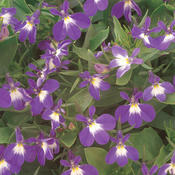 Stands out among the rest of the plants in my butterfly garden. 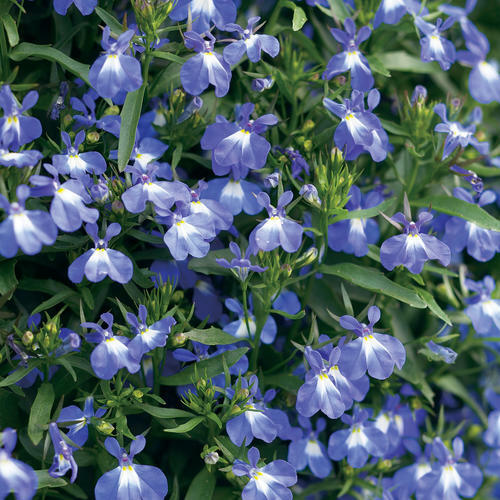 I had great hopes for this new lobelia (I love lovelia) but the Arizona sun did it before summer was even half over. 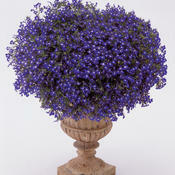 Bloomed continuously all summer and remains fresh third week in September. 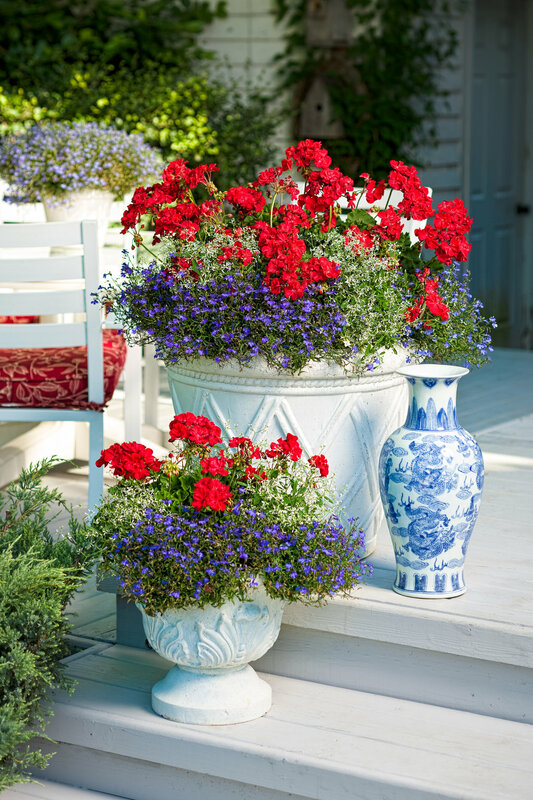 Makes a bold blue statement. 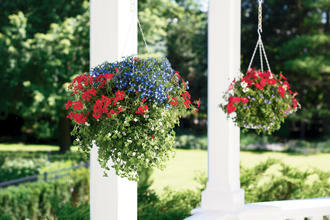 I purchase one of these every year--just ensure that you don't let it totally dry out. 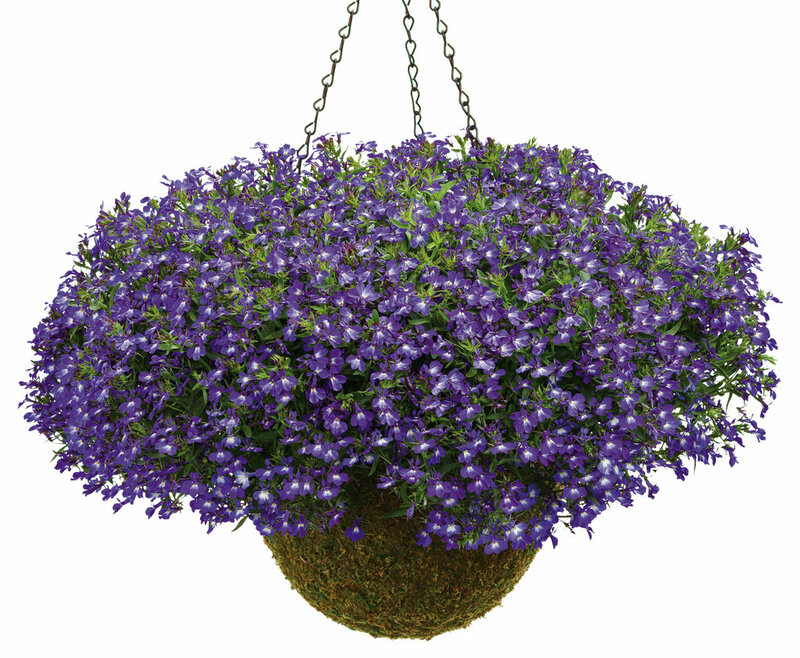 Beautiful in hanging basket. 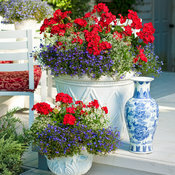 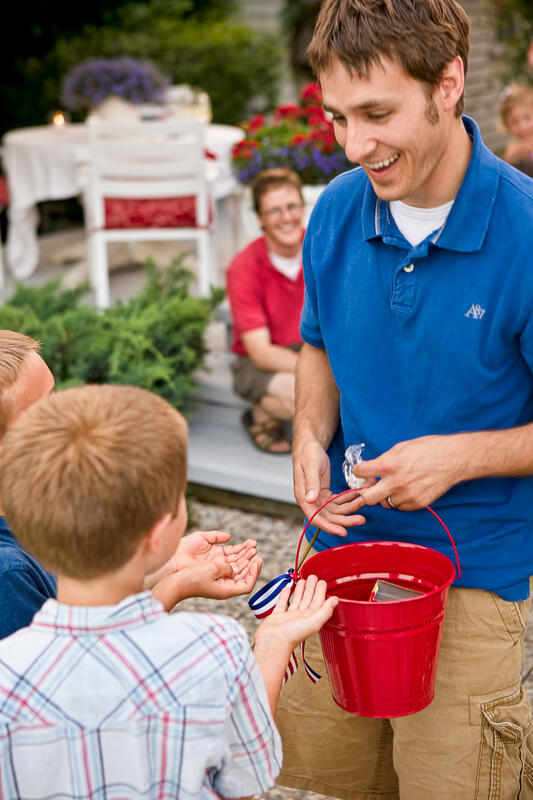 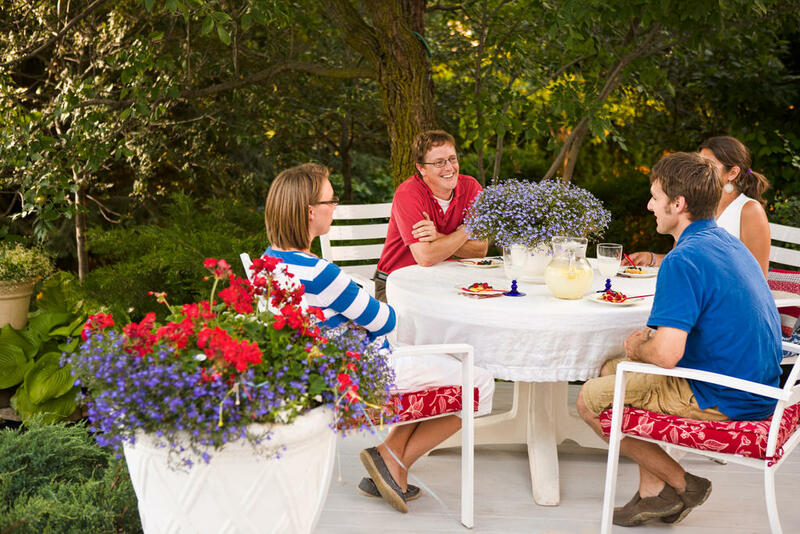 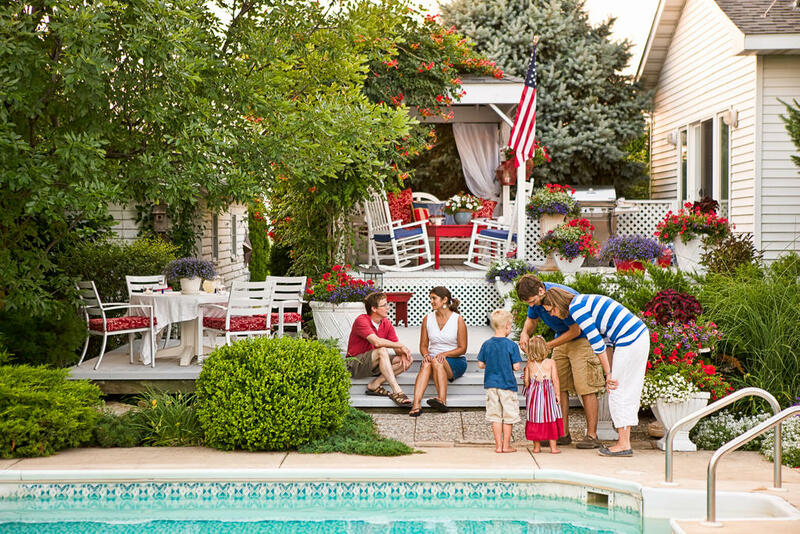 Red, white, and blue are always a good choice for summer decoration.